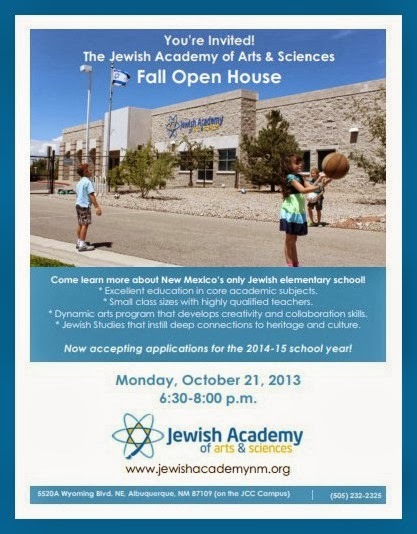 New Mexico’s Only Jewish Elementary School: Albuquerque’s Jewish Academy of Arts & Sciences (formerly the Solomon Schechter Day School) announces its Fall Open House! Excellent education in core academic subjects. Small class sizes with highly qualified teachers. A dynamic arts program that develops creativity and collaboration skills. A Jewish Studies program that instills deep connections to heritage and culture. Now accepting applications for the 2014-2015 school year!